For blues and rock. Great cleans and the drive sounds are spot on. Versatile! Realistic sounding amp plug in! I checked out several of the amp plug ins from UAD. 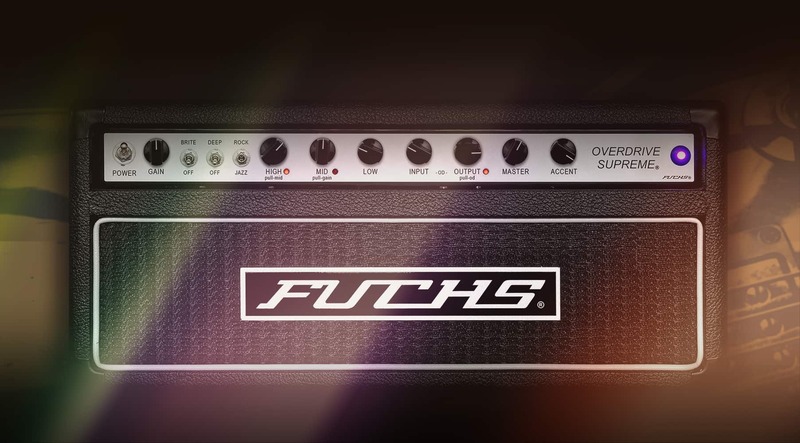 The Fuchs Overdrive Supreme 50 sticks above the rest! Love it! I like it very much for clean sounds, good for solo and rhythm. This plugin lacks top end clarity and is way too dark.That darkness gives you the illusion of fake smooth. Clean tones are decent but not inspiring. This plugin has no guts. Also, it feels nothing like an amp. I much prefer the other UAD plugins. Straight up buttery tone that’s going to cover a lot of range. It does have that pretty specific flavor to it that you want to demo - it’s not going to do everything but if it’s your flavor there isn’t anything like it. Really gets at that rarified set of studio amps that feel great and make it hard to stop playing. I pretty much play the two Fuchs plugins most of the time. This is the dumble-esque one and the other is the trainwreck-esque one and they are both hours of joy. I had been eying it for a while, and there is a lot of depth to the supreme in particular to get a lot of the tones that aren’t your old Marshall/fender groupings. I’d buy it again in a heartbeat. very good clean sound for the guitarist who like to play smooth jazz, you guys like rock music so much you forget there are jazz guitarist who buy your product,ps think about us sometime.a nice hot saturated smoothe clean jazz guitar plug in will be nice. I love the sound of this plugin! I suggest watching reviews and listening for yourself. When I demoed this amp plugin, I could not put down the guitar! Very inspirational tones! I own a D'lite 44 from Brown Note, and when I played through this plugin it felt very similar. Awesome job!!! Excellent emulation! Always sound good! thanks you! Should have bought it before! Great amp sim, I regret haven't bought it before! Very versatile and rich, easily spans from true clean to dark gritty sounds exceptionally well. I love fender amps and I’ve drooled over Dumble amp videos. I love the sound of this amp. Superb guitar tone, and extremely versatile. The clean tones are very nice but the beauty of this amp is it's crunchy overdrive, from subtle to nasty overdrive, every sound in between I have been able to find a use for in my recordings. Der Amp bietet nahezu das komplette Spektrum auf höchsten Niveau, lediglich die Metal-Fraktion wird hier nicht bedient. Sehr viele Varianten durch die Speakerauswahl.